Facebook page to stay up to date on our upcoming events and giveaways. Our March giveaway is fun for all ages and you won't want to miss it! We'll give you a hint, it's something you could do with your kids for Spring Break, with a spouse, or with a friend. 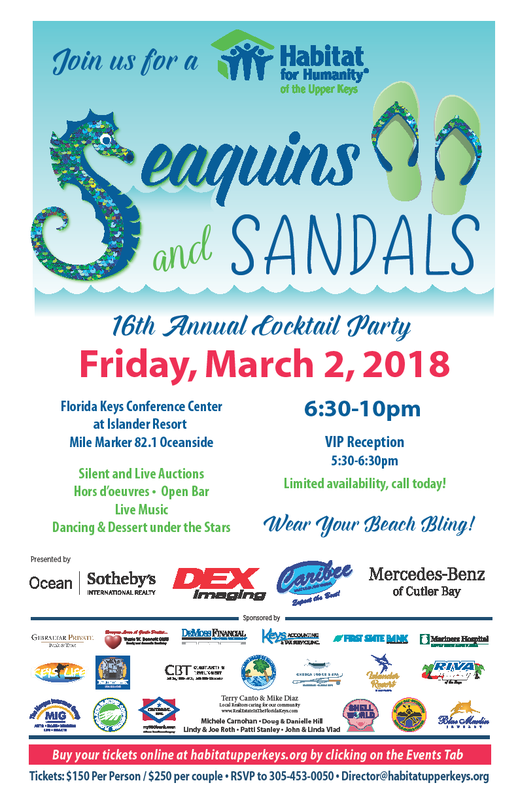 Living in South Florida it's something fun that should be on everyone's bucket list! We'll also be coming out with a list of Spring cleaning tips and companies that can help prepare your home for Hurricane season. 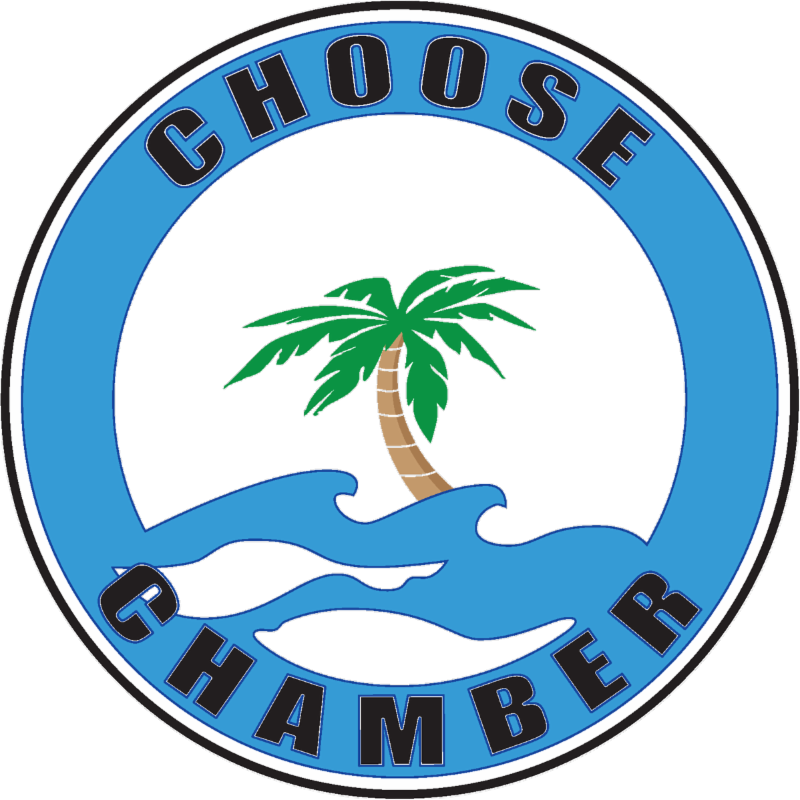 Our chamber members strive for excellence here at Ocean Reef Club, in Homestead, and in the Florida Keys and we want to encourage you to CHOOSE CHAMBER members when hiring. Finally, our 7th Annual Golf Tournament has been scheduled for Thursday, May 3rd. 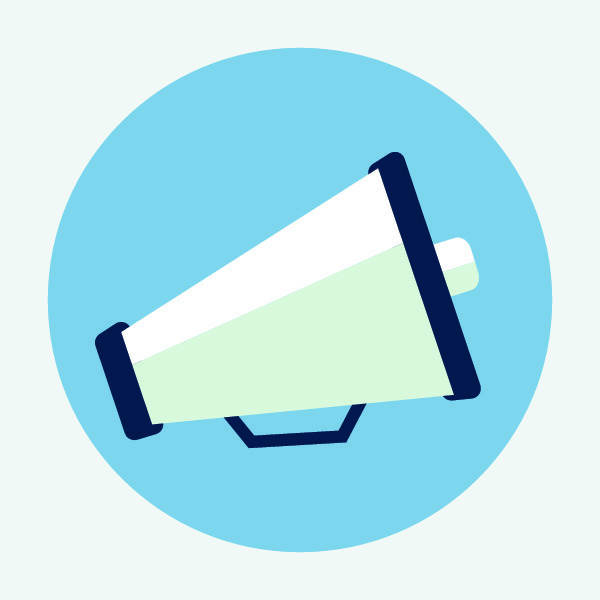 Registration is now open and we want to encourage you to register early! Don't play golf? 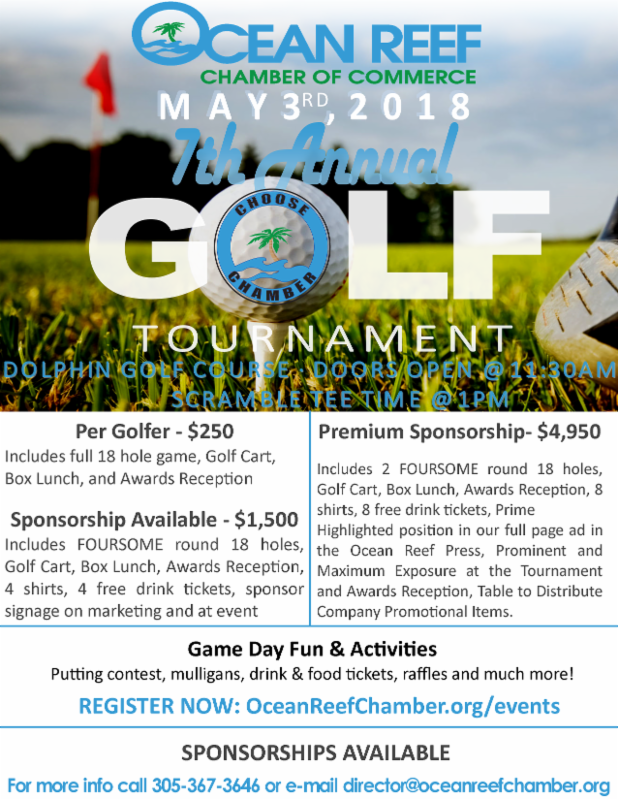 Consider being a sponsor and treating your top employees or clients to a round of golf. We'll also be having a silent auction and raffle prizes so you can get your business involved that way as well. Call or email me for more information. Habitat for Humanity of the Upper Keys has provides affordable housing in the Upper Keys. They have built 32 Habitat homes in the Upper Keys and are working toward their Build 50 Initiative to build and complete at least 18 more homes to get to their Build 50 Goal. Habitat ReStore- Gently used second hand furniture store. Profits from Restore goes directly towards the Habitat Construction Fund. Thank you to our luncheon sponsor! Allergies? 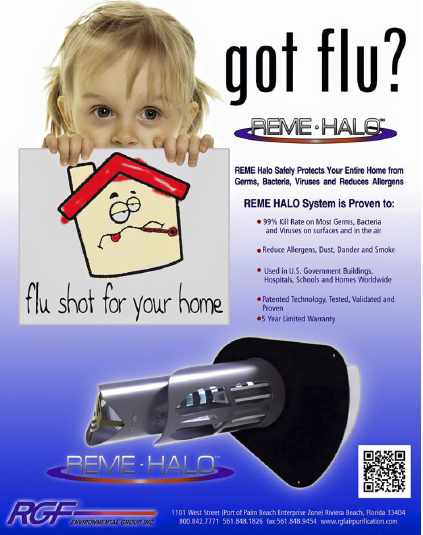 Do you want a fresh clean air smell, as well as clean air, in your tropical home? Would you like it to smell "just cleaned" all the time? Going-Aire Fixes These Things TOO! Start with duct sanitation and maintain it with full time air purification devices utilizing Photohydroionization that creates an advanced oxidation reaction eliminating odors, mold, viruses, bacteria, and other pathogens. An industry source stated the following, "Environmental Protection Agency has reported that indoor air pollution levels can be 100 times higher than the air outdoors." Going-Aire now offers duct sanitation services with every Preventative Maintenance Service visit! So now in addition to the Five Point Check (Below) originated by Bill Going in 1972, Going-Aire now uses leading edge technology to also clean and help purify your duct work, Step 6. 6. Connect RGF Rapid Recovery Air Purification System to sanitize the duct work connected to each air conditioning system. Sign-up for Preventative Maintenance today by calling our office at (305) 367-2974 or simply responding to this email. You can also call just to have your ducts sanitized and keep your house smelling fresh. We offer duct cleaning services for $45 per vent. 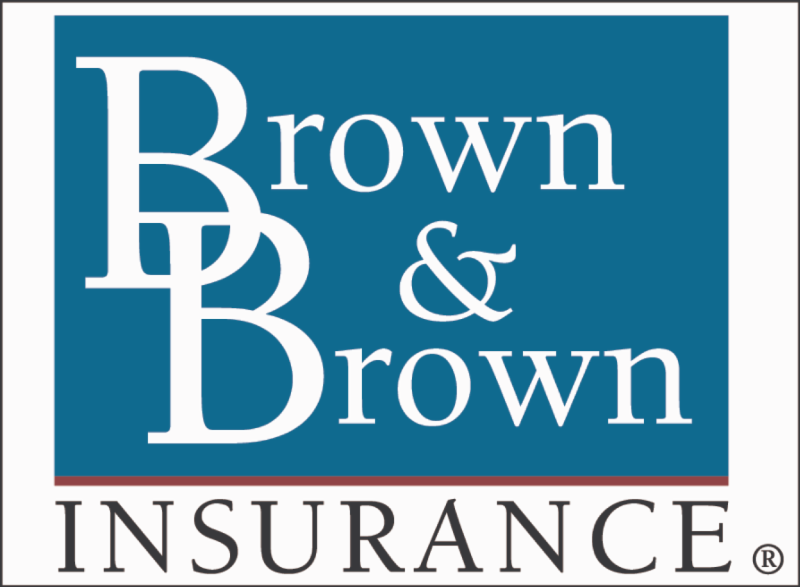 Brown & Brown is one of the largest and most respected independent insurance intermediaries in the nation, with continuous service dating back to 1939. Our Company is ranked as the 6th largest such organization in the United States (1st in Florida) and 7th in the World by Business Insurance magazine. Brown & Brown is also one of the selected companies that comprise S&P 400 and stock market index. In September 2007, Brown & Brown was ranked #10 on Forbes's "The 100 Best Mid-Cap Stocks in America". This will be a salary based / commission / production incentive position with a full benefits package. Developing and implementing constructive recreational activities for homeless and at-risk youth (Kayaking, movies, fishing, sporting events, yoga, etc. ), case Management, supervision of staff & youth, and promoting positive behavioral growth. Education: Bachelors or Masters Degree in recreational therapy, physical education, social work, mental health, or similar field required. 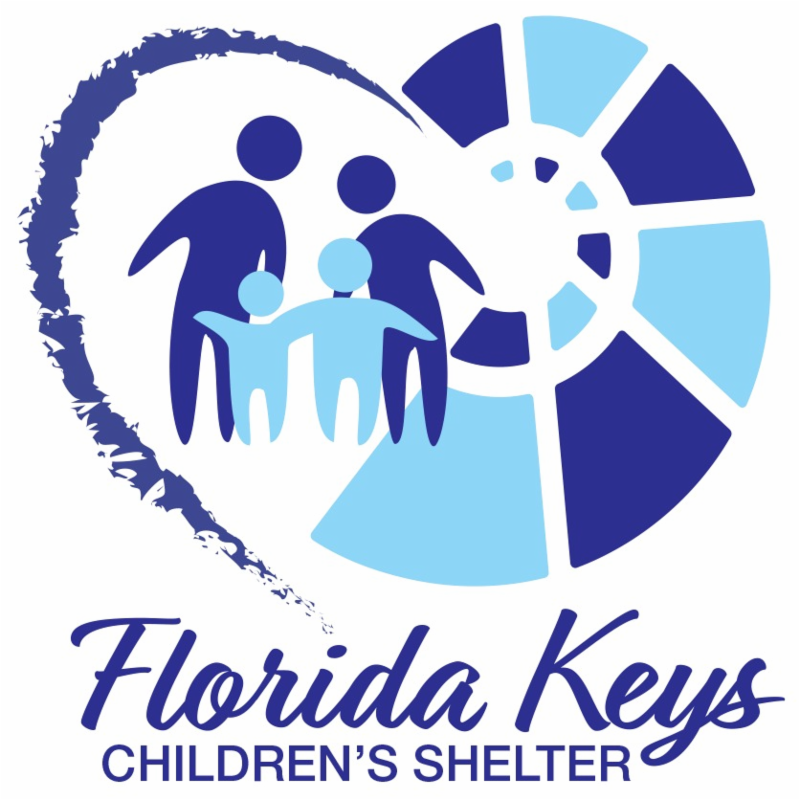 The Florida Keys Children's Shelter is the only provider of residential services of any kind for youth 10 - 18 years of age in the county. As such, the agency serves, in a collective environment, dependent youth, CINS/FINS youth and homeless runaway youth. 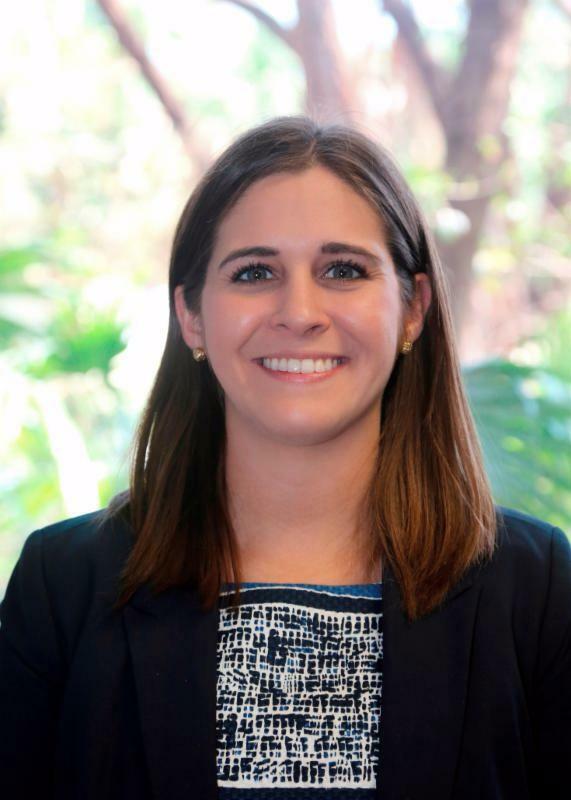 We do this by ensuring that all youth, and their families, regardless of the issues they present with, are treated with respect and dignity and are offered Florida Keys Children's Shelter services appropriate to their situations. We also have 3 programs in Key West. A group home , an emergency shelter and Project Lighthouse which helps "travelers" with food, showers, laundry , help with housing and job assistance. North Key Largo is hiring!